The New York State Society of Professional Engineers is proud to announce the results of the Official Ballot for 2019-2021 The following members were duly elected and will be installed in June 2018 for their terms, which will begin in July of this year. NYSSPE Remembers Past President Marvin Spector, P.E. With sadness, The New York State Society of Professional Engineers (NYSSPE) recently learned of the passing of Marvin Specter, P.E. at the age of 91. Mr. Specter joined NYSSPE in 1955, was President of the Westchester Chapter in 1968, NYSSPE State President in 1972, and NSPE National President in 1982. Marvin’s contributions to and his impact on the engineering profession and specifically forensic engineering were great and will be long lasting. Marvin’s family has requested that in lieu of flowers, contributions may be sent to the National Society of Professional Engineers (NSPE) Education Foundation, 1420 King Street, Alexandria, Virginia 22314. Trenchless Underpinning: A Method to Underpin Foundations and Stabilize Soil Without Excavating. 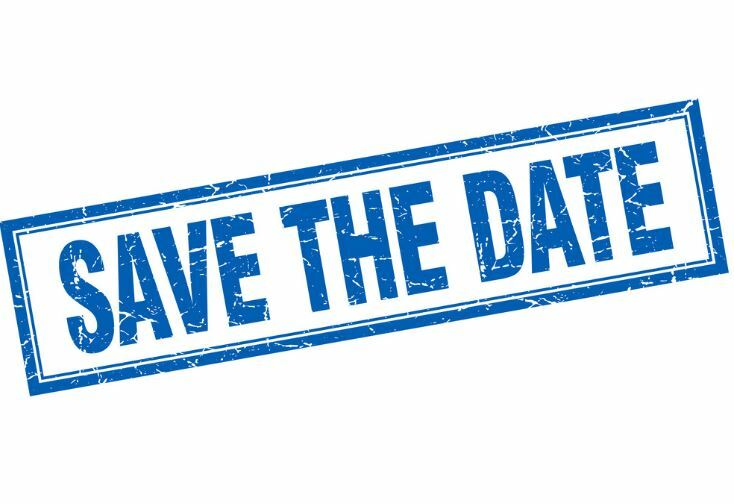 On Tuesday March 12th, 2019 there will be a presentation made for NYSSPE members on the topic of Trenchless Underpinning: A Method to Underpin Foundations and Stabilize Soil Without Excavating, using a chemical grout injection technique. The 1-PDH presentation will be made by Tony Alfano of Ground Works Solutions at the conference room of Brooker Engineering in Suffern, NY. For more information about the presentation and to RSVP, click here. Sub-terrain void fill and high rise underpinning. Seawall, bulkhead, ground water and injectable barrier containment. culvert, spillway, and sewer and dam repair. Soil stabilization for bridge approaches and rail ballast. Please see the link below for a copy of a letter sent to Thomas Fariello, RA who has assumed the duties of Commissioner of NYC Department of Buildings following the decision by Rick Chandler, P.E. to step down. We are awaiting a reply to our request for a meeting. NYSSPE is hopeful that the meeting will lead to additional improvements at the DOB squarely focused upon the elimination of inordinate delays in the plan approval process. Thanks to everyone who has helped with this initiative. We will keep everyone apprised. The 39th Annual Capital District E-week was celebrated February 14 & 15 at the Albany Marriott. Over 800 engineering professionals and over 100 students from across the state and surrounding states attended the event! There were 63 continuing education courses offered. National Engineers Week was created in 1951 by the National Society of Professional Engineers and coincided with President’s Day. This is no coincidence, since George Washington, the 1st President of the United States was a land surveyor and engineer. 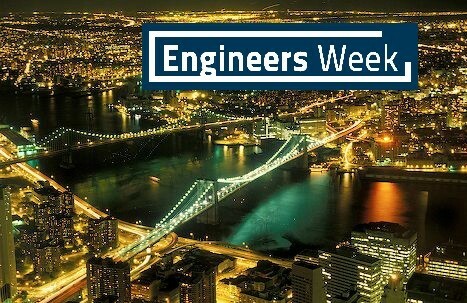 E-Week is held to create awareness of the contributions of engineers to society. 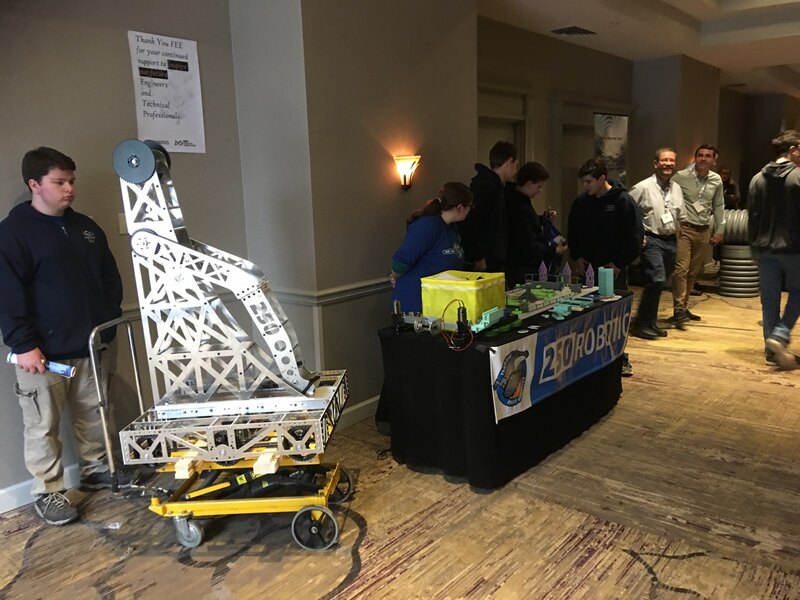 In support of these goals, the E-Week event has financially supported organizations and events that have an underlying theme to promote some aspect of engineering to the younger community. One of our goals is to provide information on what engineering is about so students have the resources to decide whether pursuing engineering is for them. Proceeds from E-Week are graciously used to help support worthwhile student activities. Once again, the Capital District E-Week Committee reached out to the younger community with opportunity to create a logo for next year’s event. This competition served to find a logo for the February 2020 event and was limited to students, 18 years of age and younger. The NYSSPE Annual conference is a cost-effective way to obtain up to 7 PDHs, as well as a great way to network with other Professionals! Attendees will also have access to our exhibitors who will be showcasing great products that can help your career and business. Chairman of the ASHRAE Technical Committee on Building Energy Performance (TC 7.6), Dennis Landsberg P.E. will discuss the Impact of the 2016 changes to the NYS Energy Code on building design at NYSSPE’s 2019 NYC Engineers Week Celebration Event, which will be held on Monday February 18th, 2019 at the Time Square Marriott Marquis in New York City. The presentation will focus on changes covering each building system and how that may impact building design choices. The 2016 State Code is based upon the 2015 International Code and 90.1-2013. The code has provisions for Residential buildings, which are defined as single family and multi-family buildings of three stories or less, and commercial buildings, which are all buildings not defined as residential buildings. To achieve compliance, there is a prescriptive path, a component performance paths allowing tradeoffs and a custom path that relies on modeling. ASHRAE also has workbooks for specific building types that achieve 30%, 50% or more above code, and that can be downloaded for free. Topics covered include a brief introduction of the code that the NYS standard adopts, the new compliance paths, the three climate zones in NYS, full/part load efficiencies for Unitary Air Conditioners, major changes to Energy Recovery Ventilation and new categories introduced to Domestic Hot Water. The presentation on the design implications of the 2016 Energy Code updates will be part of a series of 6 presentations (6-PDH) celebrating Engineers Week on Monday February 18, 2019 with some very interesting topics focused on infrastructure improvements and green/energy efficient measures. The PE’s In Construction Group of NYSSPE is organizing this presentation series in conjunction with the Association of Towns of the State of New York (AOT) at the AOT 2019 Training School and Annual Meeting. This will be the Association of Town’s 86th Annual Meeting. The event attracts elected and appointed officials from more than three-quarters of the state’s 932 towns. Lewis Tesser, Former Chair of the New York State Bar Association’s (NYSBA) General Practice Section will discuss and answer questions regarding ethical and legal aspects required by (and expected of) professional engineers and architects at NYSSPE’s 2019 NYC Engineers Week Celebration Event, which will be held on Monday February 18th, 2019 at the Time Square Marriott Marquis in New York City. 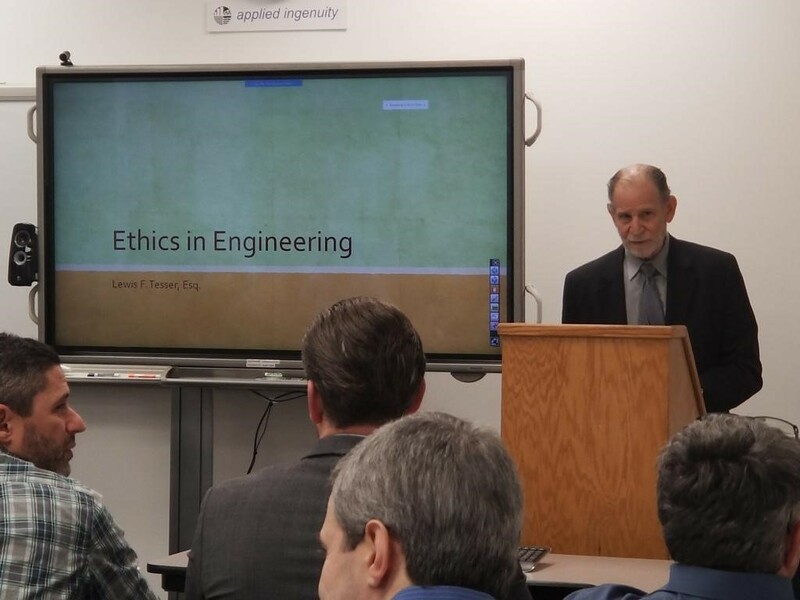 The purpose of the engineering ethics presentation is to provide an overview of ethical conduct and legal aspects required of professional engineers with primary emphasis on the big picture of being a professional in New York State. Mr. Tesser will discuss concepts and/or nomenclatures of: What it means to be a professional; obligations; licensed vs. unlicensed Engineer; what requires an engineer’s stamp; attaining License in other States; exemptions from licensing requirements; hiring unlicensed engineers; unprofessional conduct; avoiding problem areas and communicating. The engineering ethics presentation will be part of a series of 6 presentations (6-PDH) celebrating Engineers Week on Monday February 18, 2019 with some very interesting topics focused on infrastructure improvements and green/energy efficient measures. The PE’s In Construction Group of NYSSPE is organizing this presentation series in conjunction with the Association of Towns of the State of New York (AOT) at the AOT 2019 Training School and Annual Meeting. This will be the Association of Town’s 86th Annual Meeting. The event attracts elected and appointed officials from more than three-quarters of the state’s 932 towns.